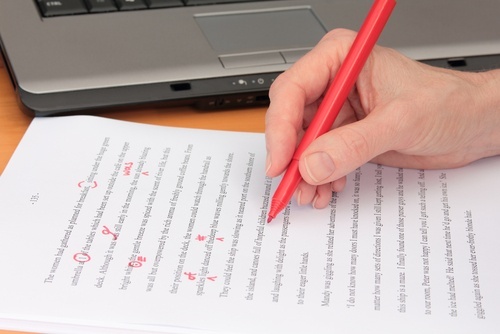 Businesses large and small have discovered the benefits of using writing and editing services. However, finding a good fit isn't always straightforward. Like anything, knowing your needs is essential—and then weighing them with time and resources. If you’ve been throwing around the idea of enlisting the help of writing and editing services, here are three reasons you should really consider it, and how to go about choosing one that’s right for you. According to Demand Metric, content marketing costs 62% less than outbound marketing, yet generates three times as many leads. Even more, 62% of those companies outsource their content marketing…and it’s good to ask, why? How much does an in-house marketer, writer, editor, or content production team cost versus outsourcing to writing and editing services? Plus, not all marketing experts are going to be great writers and editors, and often, there are a lot of cost savings in allowing them to have the vision, but outsourcing to execute the ideas. Big or small, businesses have to look closely at what they have the time, money, and resources for. If you can hire an extensive in-house team, great. If not, finding great writing and editing services may be the perfect solution. Small businesses tend to benefit the most. When you have a small team, limited time, and not a ton of marketing overhead, outsourcing your writing and editing services can help—especially if that service is highly experienced in inbound marketing and how to make content work for you. Writing and editing content take skill. For content to be successful, you need to focus on topics, keywords and phrases, formatting, length, style, tone, voice, and more to create engaging content pieces for a specific audience. It takes time to learn, which is why outsourcing to someone who has the knowledge can be highly beneficial. Decide what you want to focus your time on. If it’s not gathering expertise in content marketing, then leave it to the professional business writing experts. There is a saying about good intentions, and the gist is that many people have them, but don’t follow through. For content to work, it has to be deliberate, strategic, and consistent. Many companies want to have the time to do it, but don’t. That’s where writing and editing services come in handy. Some even find images, create editorial calendars, upload for you, and help with supportive social media campaigns. Writing and editing services are prolific in the digital age. That’s why it’s essential to know what you’re looking for. First, businesses aren’t looking for just any type of service, but content/marketing writing and editing. Another thing to consider is quantity, quality, and experience. It may be tempting to go with the first incredibly-priced service out there, but will it produce the results you’re looking for? Even more important, do they have writers and editors with the skills to handle your industry? Writing about tech or medical topics is far more complex than dating or everyday living topics. Here are some key components to finding writing and editing services. What do you need? Is it simply the content, or are you looking for help with developing topics and keywords, formatting, and uploading? Be realistic about how much time and energy you have. Quality is essential, especially with the amount of content out there. Finding a service that has the talent to produce unique, engaging content is crucial. The service should focus on learning about your business, and find trending topics and keywords that your audience is searching for. Even if you have a marketing team that helps with those aspects, the service needs to understand the value and importance. Content companies are all designed differently. There are some that will write/edit one draft, and that’s what you get. Others will allow revisions and the writers will take note for the future to better match what you’re asking for. Some only produce the content while others have different services, levels of service, and packages to fit a variety of needs. Before you begin your search for writing and editing services, get clear about your expectations and needs. Realize that there will be a learning curve as well—as they learn about you, and you learn about how they work. Once the fit is in place, your chances of content success are much higher. To learn more about professional writer services, check out our white paper, "Content Marketing Agency: Look for These 10 Things Before Hiring One."